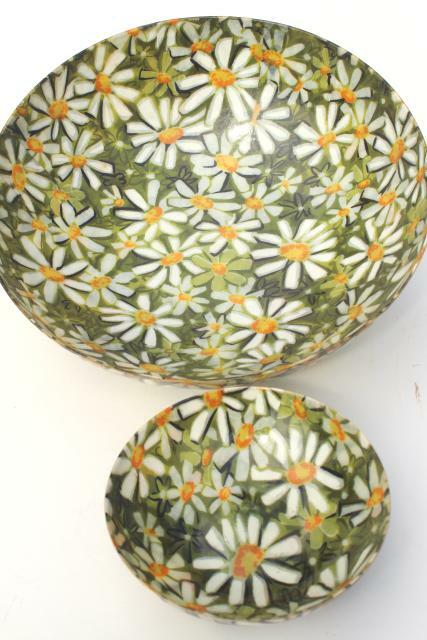 mid-century mod vintage fiberglass salad bowls set, flower power daisies! 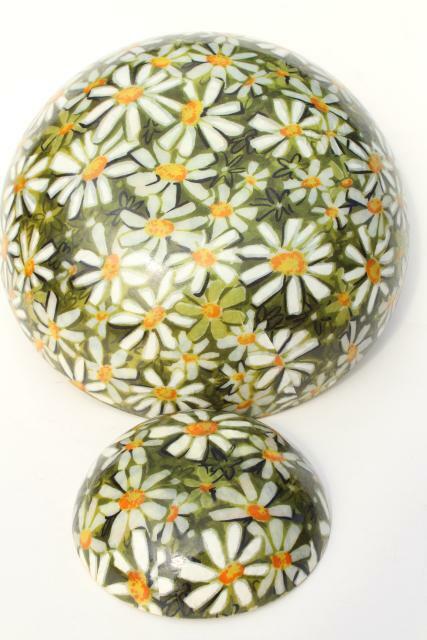 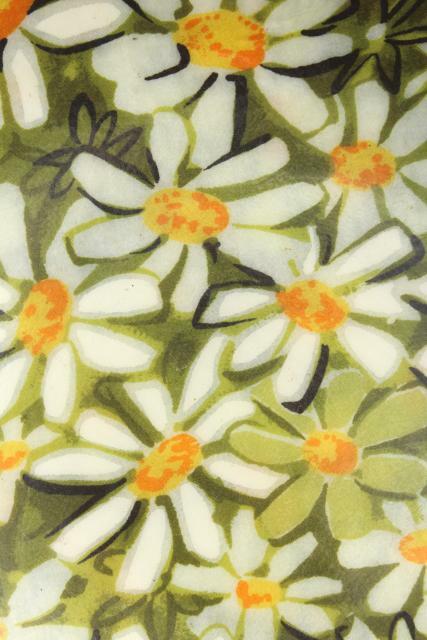 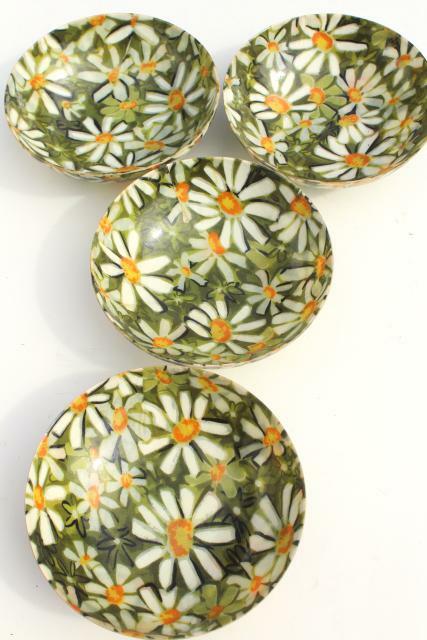 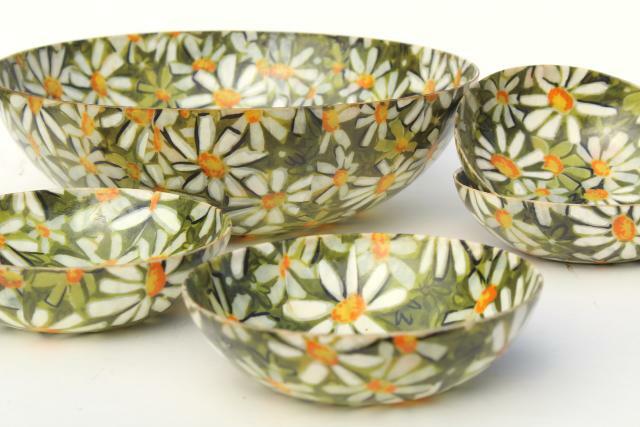 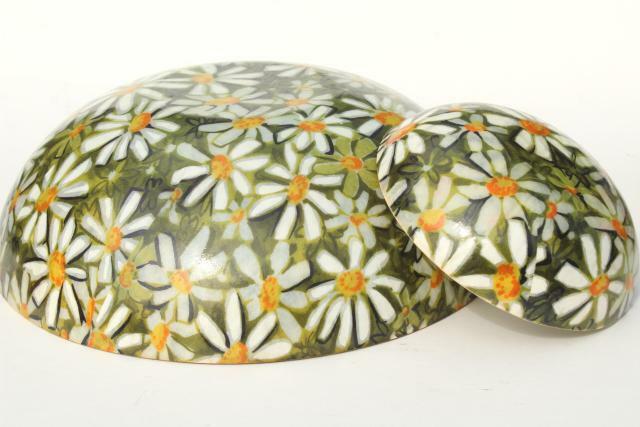 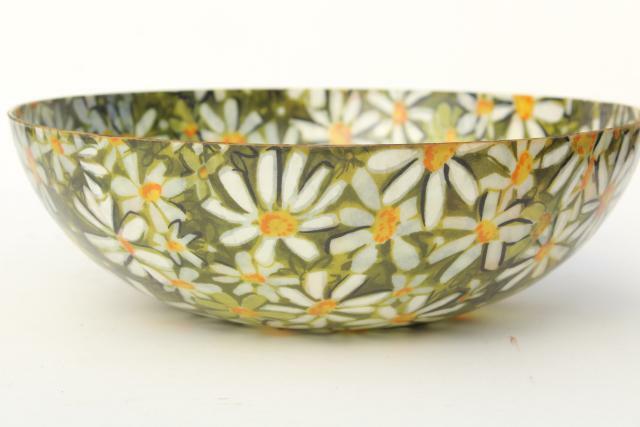 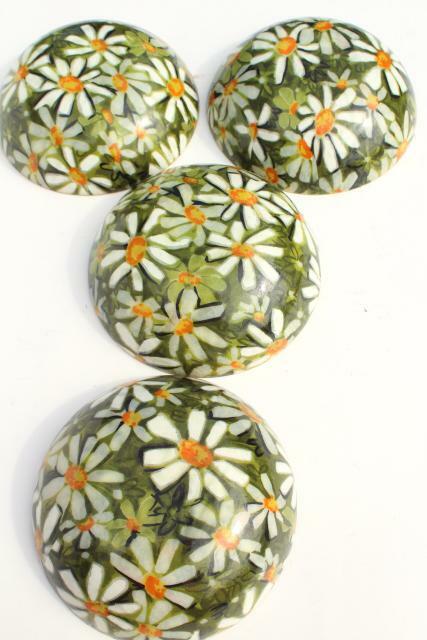 1960s vintage fiberglass salad bowls set with a great retro daisy pattern in green, white and yellow. 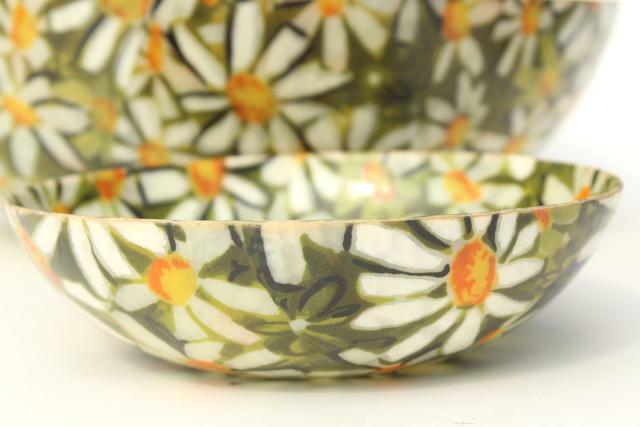 There's one bowl 12 1/2" in diameter, and four of the 6 1/2" diameter bowls - all in excellent condition showing very little wear or use.